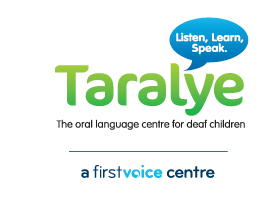 Taralye is an internationally recognised early intervention centre that has provided inclusive oral language programs for children with hearing loss and their families in Victoria for almost fifty years. It advocates for early diagnosis of hearing loss, prompt fitting of hearing aids and/or cochlear implants and high quality early childhood intervention services. Alongside Taralye’s early intervention services, it operates an audiology and otology clinic that provides a full range of audiological facilities for newborns to 18 year olds.